Could the PLA’s idea of an online “ideological struggle” lead to a cyber war? 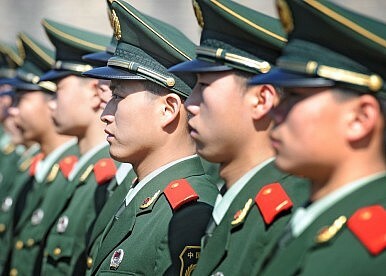 China’s military newspaper, the People’s Liberation Army Daily, warned on Wednesday that China must “resolutely protect ideological and political security on the invisible battleground of cyberspace.” The call to arms against “Western hostile forces” on the Internet comes amidst a broader push for tighter Internet controls, including experiments with offensive cyber capabilities against websites that have been banned in China. The piece begins by repeating a claim China has made often: that Internet or cyber sovereignty is a manifestation of national sovereignty. Over the past year, China has called attention to this concept in media articles and official speeches, seeking to win international recognition of its conceptualization of how the internet should be governed. The PLA Daily piece makes it clear that China’s “cyber territory” must be defended as vigorously as physical territory. The article warned that if China doesn’t occupy and defend its “cyber territory,” then nameless “hostile forces” will use it as a “bridgehead” to attack China. The martial metaphor is apt, because PLA Daily goes on to call the Internet “the primary battlefield for ideological struggle.” Whoever controls the Internet has the “high ground” in the ideological battle and controls the “lifeline” of national security and development in the information age. PLA Daily sees a battle going on for hearts and minds, and equates “defense of hearts” with “national defense.” Thus, Internet control – not simply defense against cyberattacks but control over the ideological content available on the Internet – is a national security matter for China’s military. maliciously attack our Party, smear the founding leaders of new China, slander our heroic figures, [and] raise up the mistaken viewpoint of historical nihilism. Their fundamental purpose is use “universal values” to confuse us, “constitutional democracy” to harass us, “color revolutions” to overthrow us, negative public opinion to overturn us, [and] “making the military non-Party and non-political” and “nationalizing the military” to destabilize us. The PLA Daily sees this sort of ideological warfare as an imminent threat, and one that the West has used before against the Soviet Union, western Asia, and north Africa. To guard against this threat, the Party must firmly control Internet leadership, management, and discourse. To make the “cyber Great Wall” effective, the piece calls for the PLA to form “online seed-sowing and propaganda teams” to waken a “Red Army” of tens of millions. The idea that cyberspace is of crucial importance to national security is not new, and the idea that nations must be prepared for and on guard against cyberattacks is by no means unique to China. The U.S. Department of Defense, for example, recently rolled out a new cyber strategy designed to “guide the development of DoD’s cyber forces and strengthen our cyber defense and cyber deterrence posture.” The PLA Daily uses an oft-made comparison in its article – that control of cyberspace means for the 21st century what control of the maritime domain meant for the 19th and air and space superiority meant for the 20th century. Like a battleship or fighter jet, cyberspace can be weaponized. However, cyberspace is much more than a weapon – it is a platform for communication and exchanges of all types, from financial transactions to the sharing of political ideas. What makes China unique, and what makes the PLA Daily piece so disturbing, is the idea that the mere dissemination of information can constitute a form of cyberattack. China has conflated the idea of a cyberattack and its own conception of an “ideological struggle,” the term that defined political life during the Mao era. By painting the Internet as an “ideological battleground,” China claims both the right and the necessity of retaliating against not just cyberattacks, but the posting of information. Now that China has admitted to having offensive cyber units within its military, the question becomes under what circumstances China would use its offensive cyber capabilities. The PLA Daily piece gives a worryingly broad definition of the PLA’s responsibilities for policing cyberspace, one that could end up conflating China’s idea of an ideological struggle with outright cyber war. China’s government already stands accused of using a cyber weapon called the “Great Cannon” against websites that it believes ideologically attack the Communist Party. The PLA Daily piece provides the clear rationale for doing so – and raises the possibility that cyberattacks against ideological targets may become the new normal for China.